WE ARE PET PARENTS, JUST LIKE YOU! We treat your pets like they were our own! our purpose is to enrich the quality of lives of pets and their families through personalized partnerships. We know how much your pets mean to you and how much value they add to your lives. This is our way of serving our community, to give you a place that provides exceptional veterinary care and creates an amazing customer service experience for you and your pets. 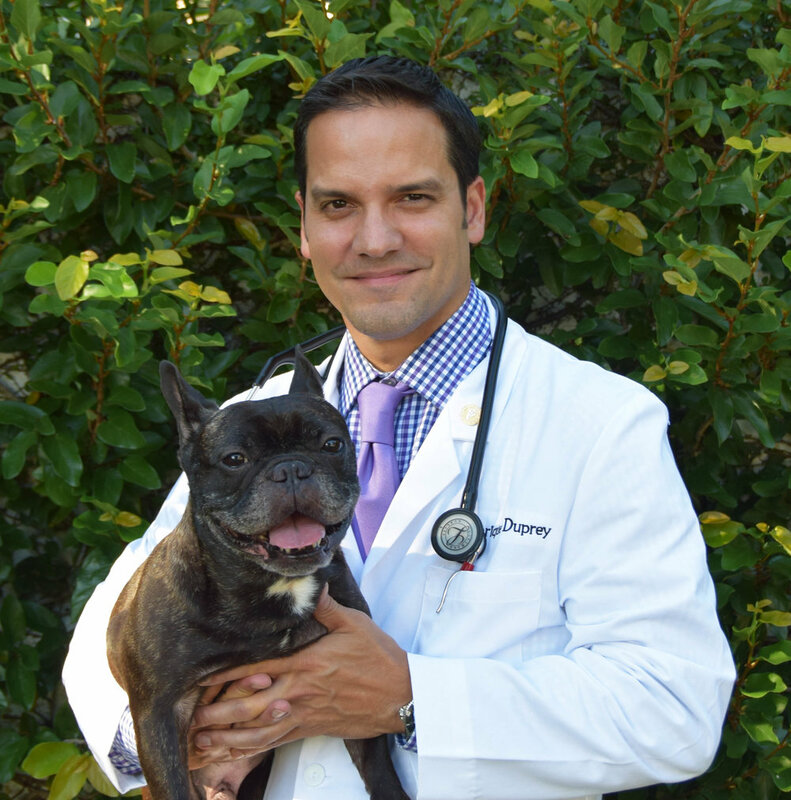 Dr. Enrique Duprey received his Bachelor of Science from Louisiana State University in 1998 and his Doctorate of Veterinary Medicine from Louisiana State University School of Veterinary Medicine in 2002. Originally from Puerto Rico, he has resided and practiced in Central Florida for the last fourteen years. Dr. Duprey has special interests in dermatology, dentistry and surgery. He and his wife, Dr. Jessica Lannes, are parents to quite a crew – two two-legged children and seven four-legged ones! Dr. Jessica Lannes received her Bachelor of Science from Louisiana State University in 2000 and her Doctorate of Veterinary Medicine from Louisiana State University School of Veterinary Medicine in 2004. Originally from New Orleans, Louisiana, she has resided and practiced in Central Florida since 2006. Dr. Lannes has special interests in internal medicine, cardiology, dentistry and behavior medicine. When she isn’t entertaining her two toddlers and seven furry kids, Dr. Lannes enjoys listening to live music, reading and swimming. Dr. Nicole Correa received her Bachelor of Science in 2007 and a Master of Public Health in 2009 from Florida State University. She received her Doctorate of Veterinary Medicine from Western University of Health Sciences in 2015. Dr. Correa's special interests include dentistry, dermatology, and internal medicine. In her free time, Dr. Correa enjoys cycling and exploring the outdoors. She welcomed a new baby boy to the world earlier this year and her furry kid, Clifford, a Chihuahua mix, didn’t mind one bit! 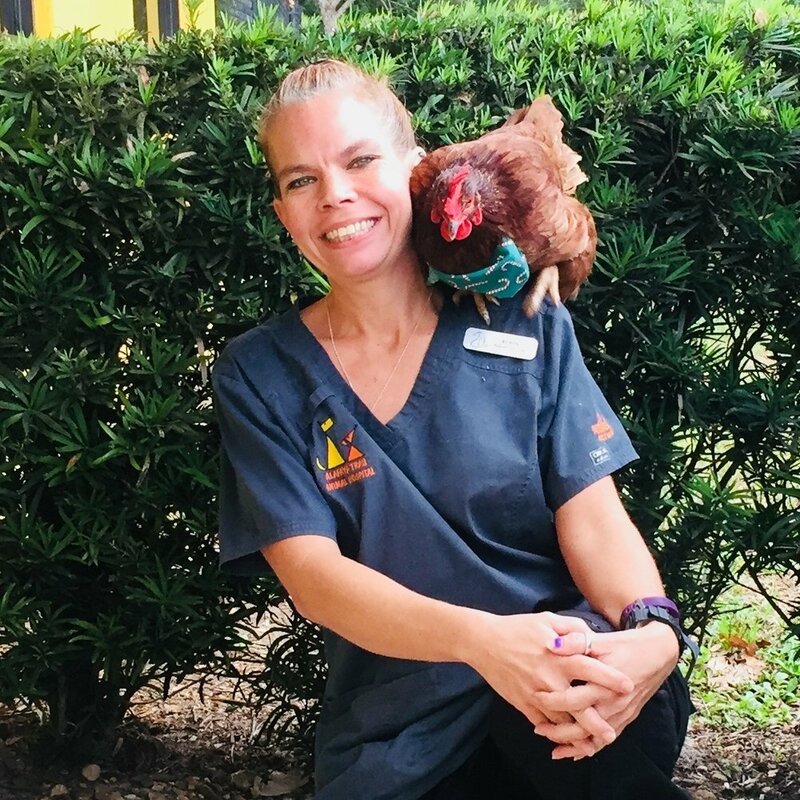 Dr. Erin Lindblad received her Bachelor of Science from the University of Florida in 2002 and her Doctorate of Veterinary Medicine from the University of Illinois College of Veterinary Medicine in 2008. 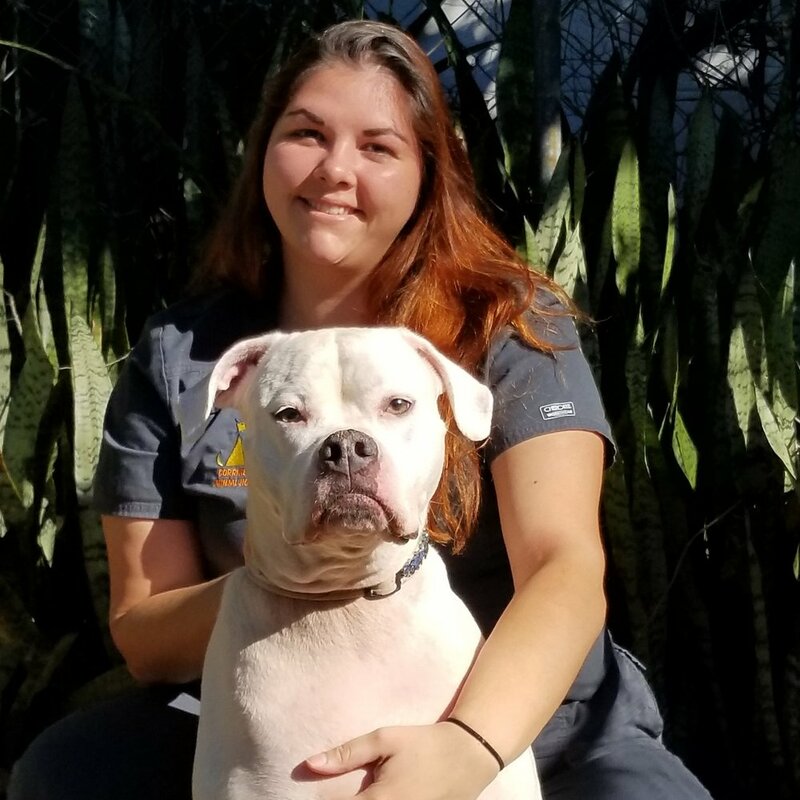 After veterinary school, she completed a small animal rotating internship at Affiliated Veterinary Specialists in Maitland, Florida. Falling in love with the area, Dr. Lindblad and her husband found a home in Winter Park and she has been practicing in Orlando ever since! She was selected as one of Orlando's Top Veterinarians four years in a row. Dr. Lindblad has special interests in internal medicine, oncology, and client education. She enjoys spending time with her family, bike riding, running, and SEC football. Along with her husband and two sons, Dr. Lindblad lives with, her dog, Casey and her cat, Lincoln. 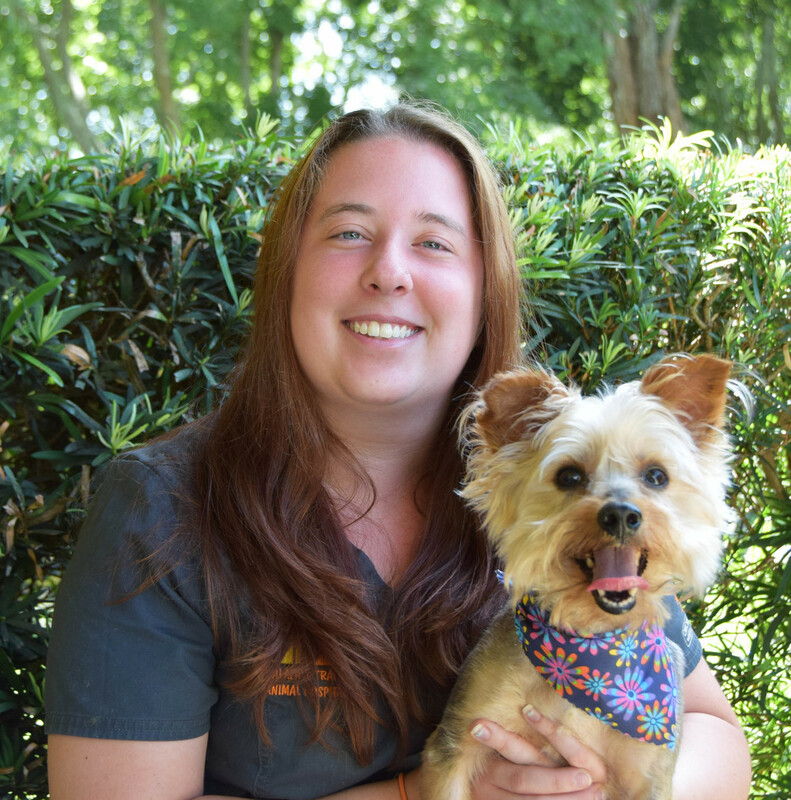 Dr. Jennifer Dempsey received her Bachelor of Science from the University of Central Florida in 2009 and her Doctorate of Veterinary Medicine from the University of Florida in 2013. She has resided in the Orlando area since graduation and joined our practice in October 2016. Her professional interests include dermatology, dentistry and soft tissue surgery. Dr. Dempsey enjoys traveling and spending time with her husband and young daughter, McKayla. She also shares her home with two rescued mix breed dogs named Primo and Morgan.